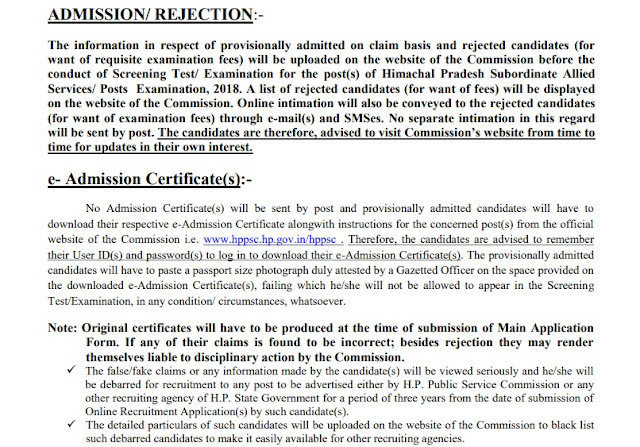 HPPSC Excise And Taxation Inspector Admit Card 2019: Candidates shortlisted for preliminary examinations able to download e-admission certificate from Himachal Pradesh Public Service Commission official website http://www.hppsc.hp.gov.in/hppsc and take print out on a4 size paper with instructions. HPPSC Admit Card 2019 Excise And Taxation Inspectors released at hppsc.hp.gov.in website. When ever admit card is out public service commission communicated through official website. applicants attend the preliminary examination download admit card from official site & carry to the exam hall with id proofs (Aadhar/ Voter Id). 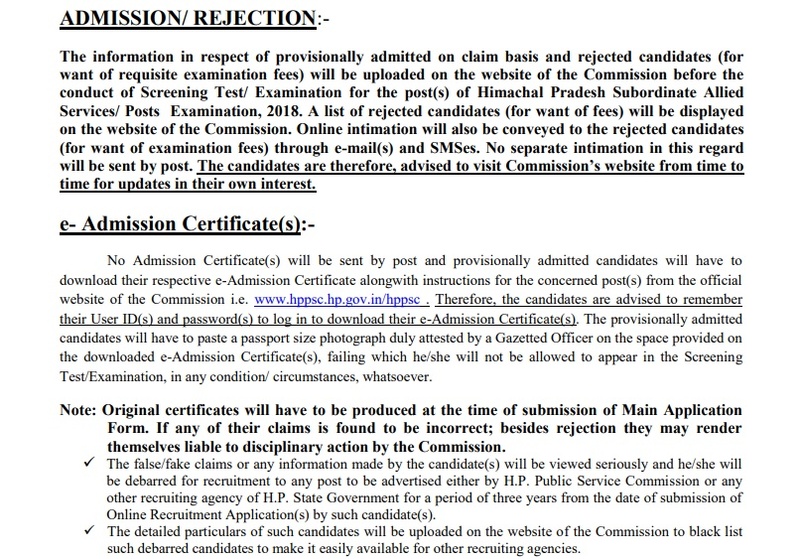 Himachal Pradesh PSC no excise and taxation inspector admit cards sent by post or email for preliminary/main examinations. The candidates can access the HPPSC Admit Card from online only.